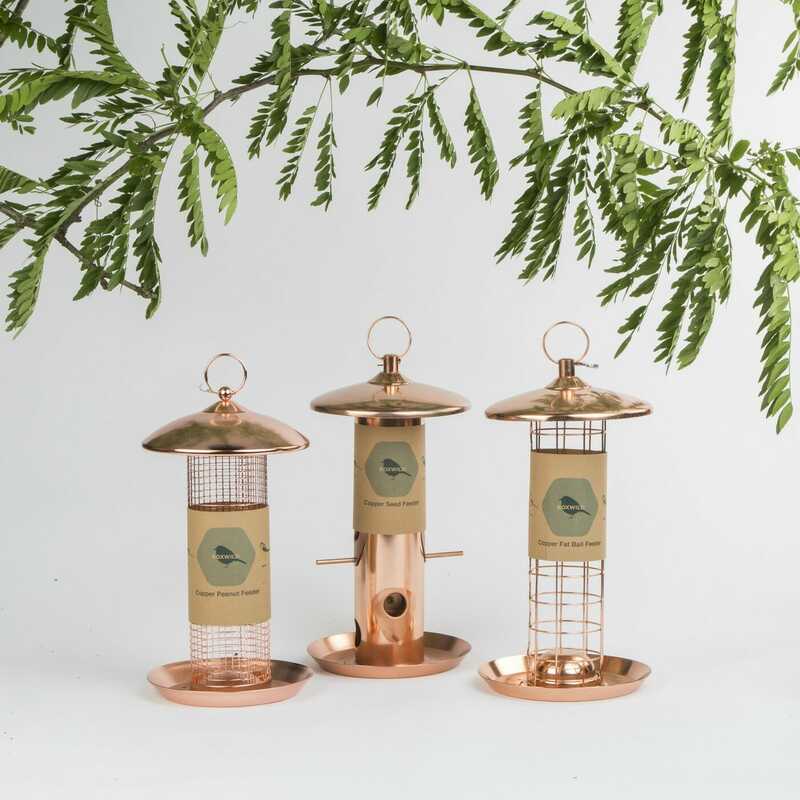 These convenient feeders will ensure the beautiful birds in your garden receive the nutrition they need in style. If you have smaller squawkers strolling about on the lawn, then this clever design will give the smaller ground feeding birds perfect access to their food. These feeders are ideal for any season. There are four small drip holes to allow rainwater to drip through on those rainy days and a copper finish that glistens in the sun for summer time. So bring that gift of food to the beloved birds, rain or shine!